It certainly looks neat and the specifications are good. It features one ED (Extra-low Dispersion) glass to reduce lateral CA (colour fringes) as the image scale increases. The optical and mechanical construction of the lens is claimed to have less glare and ghosting. The lens is also dust and moisture resistant. Examples shot with the new lens can be found at www.alphauniverse.com, Sony’s new corporate pseudo-community site. We have to say the bokeh looks funky, not good, and this lens probably lacks the classical drawing of the more traditionally designed (and more expensive) SAL 50mm f/2.8 Macro A-mount. The 6.25″ (16cm) minimum focusing distance is a clue why. 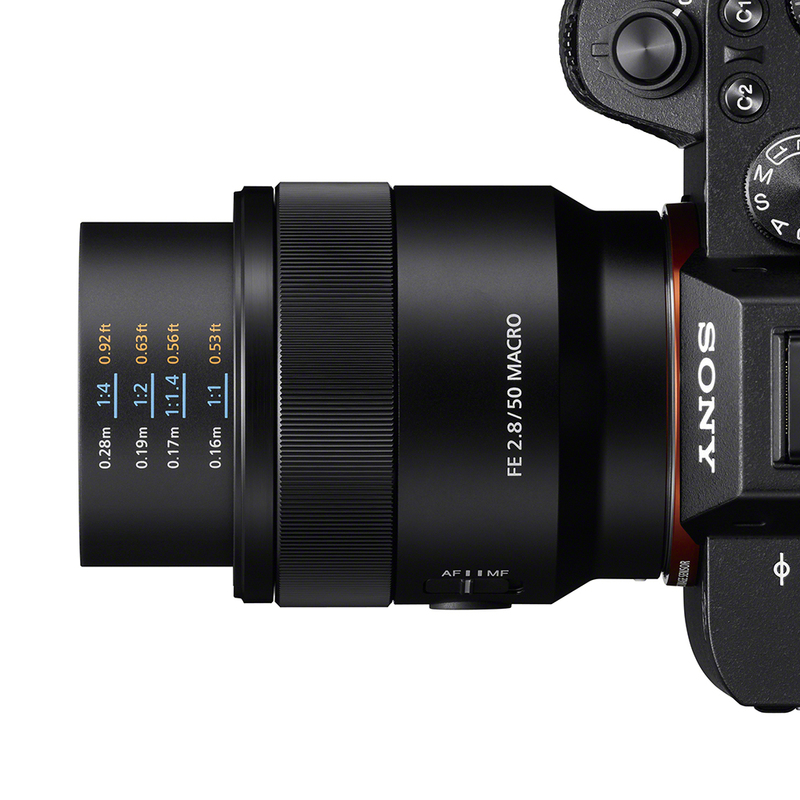 The effect of the 7-blade circular aperture design can be studied in the Sony photo examples. It has a focus-mode switch, focus-range limiter and focus-hold button (the mode switch is valuable as you may not want AF for macro shots most of the time, and the focus limiter is similarly good for controlling frantic hunting and missing – all three switches/controls are important on the mirrorless bodies). The lens is 7cm long, weighs 235g and during focusing it extends in length by only 26mm, not the 50mm required for a typical Tessar-type lens of this focal length. 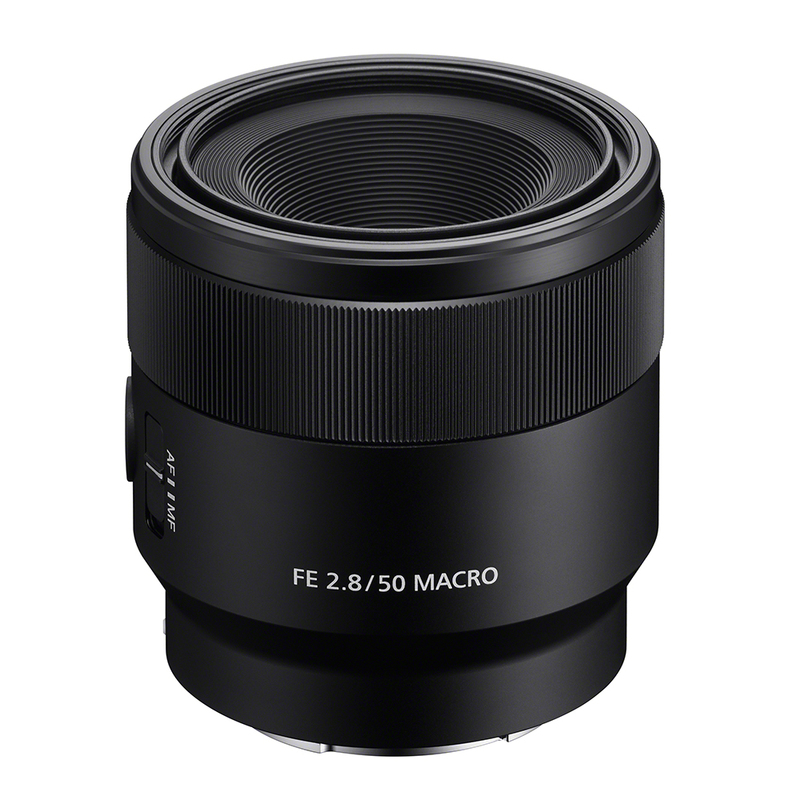 This, and the minimum focusing distance (should be at least 20cm for a 50mm macro at 1:1) indicate that the design relies heavily on internal/rear focusing groups, much like the 30mm f/2.8 DT SAM macro for A-mount. 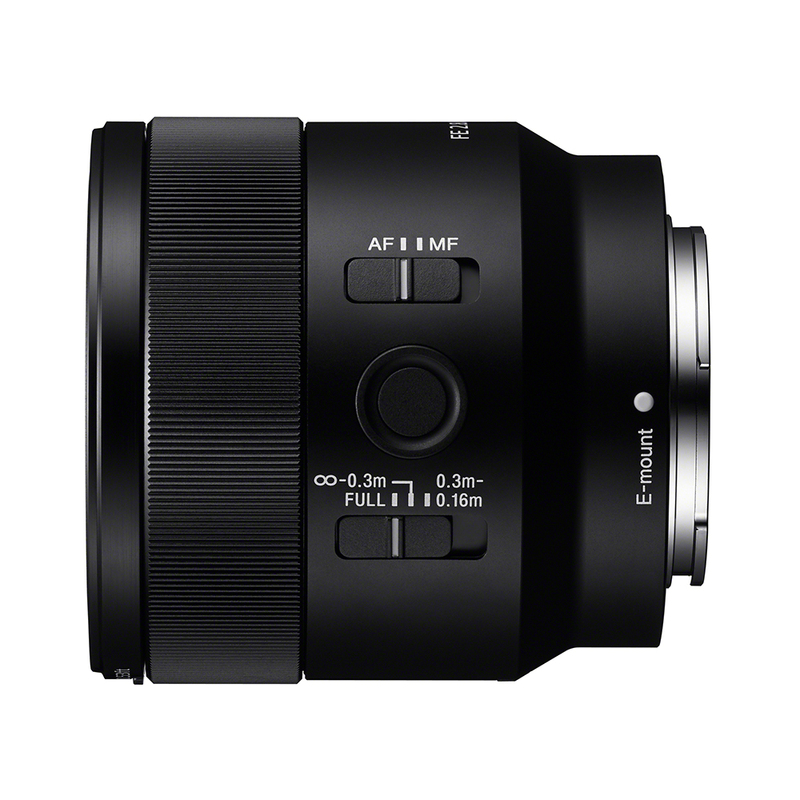 We would reckon the true focal length of the lens at 1:1, which can not be more than 40mm with a 16cm close focus, may be around 35mm as 1:1 is achieved with 76mm of overall focus extension. The distance from the subject to this lens front rim at 1:1 is only 3.5cm which many will find a little too close for insects and even for plants, as the shadow of the lens and photographer may interfere. Even the SAL 50mm is not perfect, reaching 1:1 at 20cm from the focal plane with a 48mm dual barrel extension and 53mm front element focus travel (the extra 3mm is down to floating element correction which slightly changes the focal length). This places the lens rim 7cm from the subject, twice the working distance relative to this new SEL FE design. Look – you don’t read Photoclubalpha to get sales blurb. You come here to find stuff out which you won’t read anywhere else and may not previously have been aware of. It may be difficult. But it will help!